The first European Steadicam Workshops were held in the early 80s. They were initiated by Nicola Pecorini and Garrett Brown. Nicola (“Base”) Pecorini and Francesca Carapelli’s company organized these wonderful workshops in historic Italian monasteries and breathtaking castles. When “Base” ceased organizing workshops in the early 90s, Christian Betz took up the cause with Ted Churchill, Garrett Brown, Jacques Monges, Mike Bartlett, Floris Sybesma, and others. In the mid 90s Elisabetta Cartoni continued the legendary Italian style workshops with Garrett Brown, Jerry Holway, and Chris Fawcett. 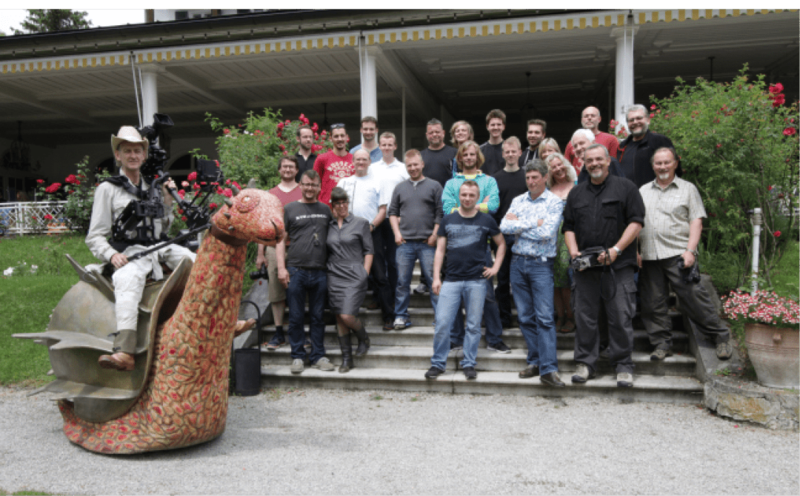 The most recent International Steadicam Workshop took place from June 30 to July 6 at Starnberger See in Germany. Steadicam Operators par excellence Garrett Brown, Larry McConkey, Alex Brambilla, Jörg Widmer and Chris Fawcett conducted the master classes. The workshop was hosted by Betz-Tools, the German Distributor of Steadicam since the early 80s, and Tiffen. 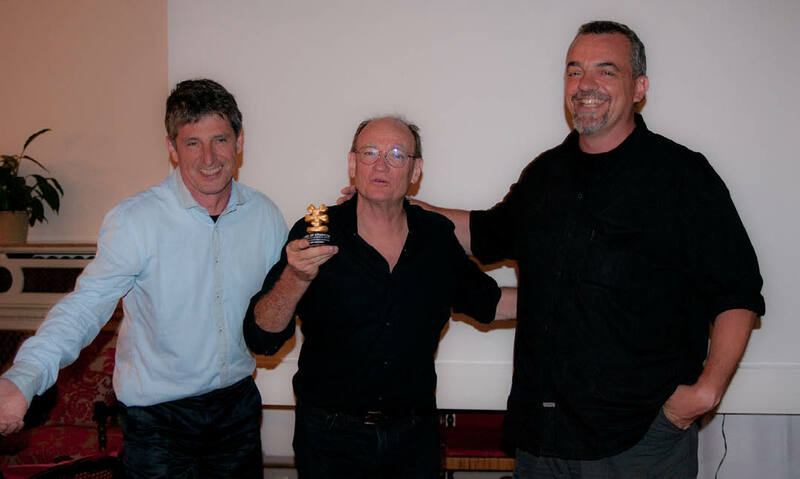 During the workshop, the first Lords of Steadicam Awards (in the shape of a sculptured golden Steadicam Vest) were presented. 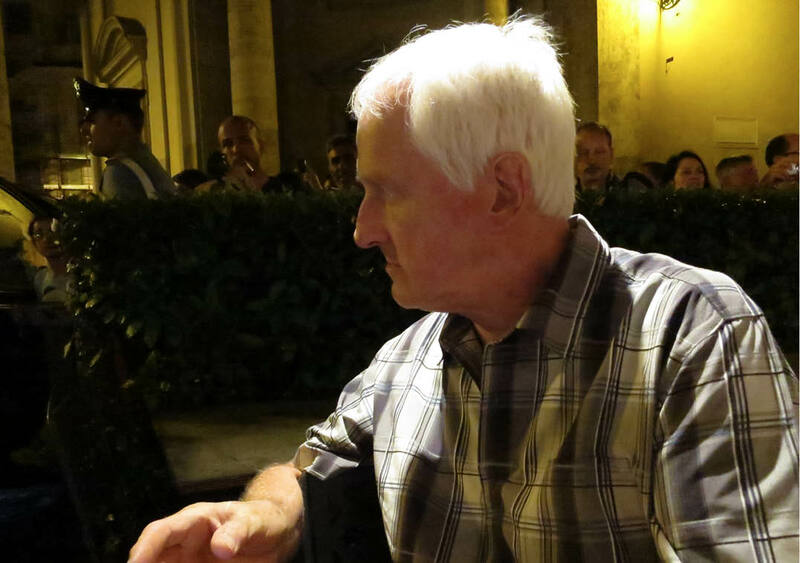 A few days later, Garrett’s quiet dinner at Dal Bolognese in Rome (photo below) was interrupted by throngs of adoring fans. 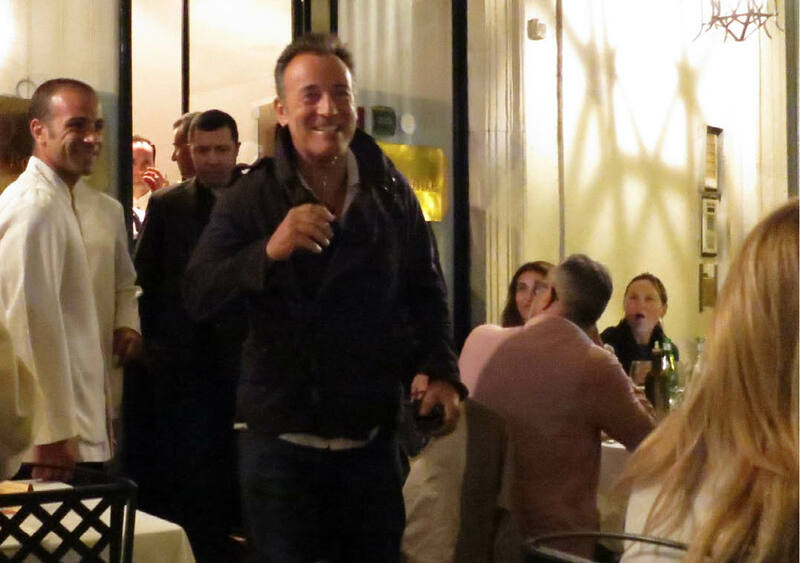 Or were they perhaps waiting for Bruce Springsteen to exit? Garrett’s dinner was interrupted by adoring fans.